Pro Pac Super Premium Pet Food is produced by Midwestern Pet Foods, Inc., headquartered in Evansville, Indiana. Midwestern Pet Foods is a 4th-generation family-owned company. Pro Pac makes both dog and cat foods and treats for dogs and cats. They make Adult Chunk and Adult Mini Chunk; Performance Puppy; and High Performance dog food. The foods are also available in different formulations based on age, size, and other health requirements for dogs according to the web site, though we could not find this information on the site. Who Manufactures Pro Pac dog food? Midwestern Pet Foods is the parent company of Earthborn Holistic pet food, ProPac, ProPac Ultimates, and Sportmix. The company was founded in 1926. It operates as a subsidiary of Nunn Milling Company, Inc. Midwestern has three manufacturing plants for making dry foods in the Midwest. Their canned cat food and dog foods for Earthborn Holistic are produced in a human-grade facility by USPet Nutrition, a division of Chicken of the Sea. Pro Pac only comes in kibble formulations at this time. Pro Pac and Midwestern Pet Foods have never had a recall per the FDA and AVMA databases. We did not find any recalls for Midwestern foods. At this time we count 14 formulations for Pro Pac dog foods pictured on the company web site but we can only confirm nutritional information for four of them. We don’t see Pro Pac coupons on their web site but many online pet food retailers have sales and discounts on their food or offer free shipping. Pro Pac Adult Chunk and Mini Chunk foods are designed for adult dogs that are have a normal activity level. According to the company, the primary ingredient is a high quality chicken meal. They use no by-products and are naturally preserved. They are AAFCO-approved for all life stages. These foods do contain ground yellow corn as the second ingredient. They have 535 kcal/cup making them very high in calories. Pro Pac’s Performance Puppy formula is designed for puppies from the time of weaning until they are a year old. Pro Pac also recommends it for dogs that are pregnant or nursing. They note that the food is made from chicken meal and chicken fat and contains DHA (recommended for growing puppies for proper brain development). The food is naturally preserved and contains no by-products. The food is AAFCO-approved for gestation, lactation, and growth. This food also contains ground yellow corn as the second ingredient. It has 596 calories per cup of food making it extremely dense in calories. Pro Pac High Performance is for a very active dog or one that is under a lot of stress. Pro Pac suggests the food is suitable for hunting dogs, showdogs, puppies, and pregnant/nursing dogs. Once again the food feature high quality chicken meal, according to the company, and chicken fat. The food is naturally preserved and contains no by-products. Pro Pac High Performance is AAFCO-approved for all life stages. The second ingredient in the food is again ground yellow corn. The food contains 572 calories per cup making it very high in calories. How would you rate Pro Pac? Although the company web site shows a photo with bags of Pro Pac large breed, large breed senior, low fat, and other foods, they do not provide any nutritional information for these foods. We don’t know if they make these foods at this time or not. You don’t have to feed your dog a raw diet (though that’s fine) or a 100 percent meat diet (that is less fine), but we do believe that it’s important for dogs to have good sources of animal protein. It’s just a matter of economics for dog food companies to use some plant sources of protein which can also add carbs or fiber to the diet. It’s up to you to choose a healthy food for your dog depending on what ingredients are used in the food other animal animal sources of protein. 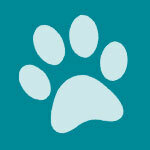 We believe there are serious problems with the overuse of peas, lentils, and legumes in pet foods. If pet food companies have to use a plant source of protein to keep costs lower, we prefer other plant sources of protein – even moderate amounts of corn – to these other kinds of plant protein. You may reach a different conclusion, but grains are not inherently bad for dogs. Most dogs can digest them without any problem. They are not the most common causes of allergies as many people have tried to claim. On the other hand, many dogs do have problems digesting the fiber in peas, lentils, and legumes. These ingredients can also block the absorption of other nutrients in the food. If you are trying to feed your dog a “biologically appropriate” diet, there is nothing biologically appropriate about these foods. Since Pro Pac only provides nutritional information for four foods on their site, we thought it would be a good idea to review the Adult Chunk/Mini Chunk dog food. These two foods have the same ingredients and guaranteed analysis — they are exactly the same. They simply have different size kibble. Some dogs prefer a larger or smaller size bite of kibble. Toy and small dogs, in particular, might prefer a smaller mini-size bite of kibble. However, many medium and large dogs also prefer a small size of kibble. It’s really a question of what your dog prefers – as long as he doesn’t eat the food too fast and he likes it. The first five ingredients in these foods are: Chicken Meal, Ground Yellow Corn, Chicken Fat (preserved with mixed Tocopherols, a source of Vitamin E), Rice Flour, and Dried Beet Pulp. Chicken meal is a frequent ingredient in dog foods. The chicken has been cooked down and had most of the moisture and fat removed. The meal that is left is a condensed source of chicken protein. Chicken normally has 60-80 percent protein, depending on the part of the chicken used. In this concentrated form you can expect it to have more protein. Ground yellow corn is another ingredient that is frequently found in dog food. Many super premium dog foods will try to avoid using corn (and wheat and we could go on) but if your dog is not allergic to corn and doesn’t have a food intolerance to it, he should be able to eat it without any problem. Animal sources of protein are usually preferred BUT they also make dog foods much more expensive. This food does not claim to be grain free so there is no deception here. Dogs can digest about 50 percent of the corn they eat in a dog food (depending on how it is cooked and used in the food), so you can usually expect some of these carbs to pass as waste. But peas and other legumes used in some very expensive dog foods as plant sources of protein will do the same thing and those foods are often touted as “grain free.” So, corn or peas in dog food? We are not as quick to condemn corn as some people. Contrary to much popular thought, dogs can indeed digest starches. They have the enzymes to do it, unlike wolves. So, if it doesn’t upset your dog’s digestion and there are good sources of meat protein in the food, we can overlook some corn. It’s not our favorite ingredient, but if companies have to use a plant protein, we prefer corn to peas and other legumes. The third ingredient here is chicken fat preserved with mixed tocopherols. Chicken fat is a good named fat that is good for dogs. Mixed tocopherols are forms of vitamin E that act as natural preservatives for the fat in the food. We like the fact that this food does not use artificial ingredients. The fourth ingredient is rice flour. Rice flour is a gluten free flour. It’s often used in order to avoid using wheat but it still provides carbs. It’s also used as a thickener. The fifth ingredient here is dried beet pulp. Dried beet pulp is best known in dog food as an insoluble fiber. It’s used in many very good dog foods. It is not a sweetener or a filler ingredient. Other ingredients of note in these foods include natural flavoring – this ingredient is somewhat questionable since “natural” can mean a lot of different things to the FDA. It could mean anything from monosodium glutamate to broth from the chicken meal. There’s no way to know what it means. Added flavors in dog food, in general, are not desirable. Other ingredients of interest include flaxseed which usually sends up a red flag if you breed dogs. Flaxseed is a phytoestrogen which can throw off a dog’s hormones, interfere with fertility, and cause other breeding problems. Lots of dog food companies continue to add flaxseed to dog foods but this is something that dog breeders need to start complaining about. Flaxseed does provide some dietary fiber and fatty acids that are good for the coat, but they are not worth the problems it causes. “Yeast culture” is not the same as active yeast used for baking bread. Yeast culture may be an active or inactive supplement which contains B vitamins and enzymes. It is believed to encourage the growth of friendly bacteria in the intestines. The food also has chelated minerals which are often used in better quality dog foods. They bind minerals to proteins so they are easier for the dog to absorb them. Calorie Content: 535 kilocalories per cup. This is a very rich dog food. If you feed this food, especially for a family pet, you will need to pay close attention to how much you are feeding and how much exercise your dog is getting. This is nearly twice as many calories as some adult maintenance dog foods. Many dogs will get fat eating this food. We suggest that you feed small meals a couple of times per day and put the food away after a few minutes. Do not leave the food sitting out all day for your dog to nibble on or he could become a porker. Small breed dogs typically use more calories per pound than medium and large breed dogs so the Mini Chunk formula could be a good choice for a small dog. These foods are very high in calories. A medium or large breed dog could gain a lot of weight eating this food. Animal feeding tests using Association of American Feed Control official procedures substantiate that PRO PAC ® Adult Chunk and Mini Chunk provide complete and balanced nutrition for all stages of a dog’s life. The dry matter basis figures for this food are: 29.9 percent protein; 16.7 percent fat; 4.4 percent fiber; and 41.1 percent carbohydrates. This food has a moderate amount of protein, with some of it coming from plant sources (corn). The fat percentage is also moderate. The fiber percentage is typical for most kibbles today. The carbs are a little high (corn and rice flour) but there are certainly dog foods that contain higher percentages. Where can you buy Pro Pac dog food? You can buy Pro Pac in many pet stores and feed stores across the U.S. Tractor Supply Company carries it. It is also sold online. You can check the Pro Pac web site to find places near you that sell the food. We think that Pro Pac is a good mid-range dog food brand. The foods have many good ingredients and a few that we (and other people) probably won’t like as much. But it is a good quality food, especially for a reasonable price. The company has also been in business for a very long time and they have never had a recall. This is a dog food that you should consider if you are looking for a good dog food in this price range. Please Help i have a 1 year bull terrier, Pro Pac or Pro Plan??? ?